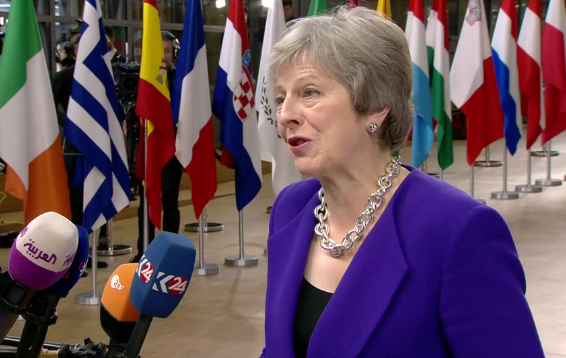 UK Prime Minister Ms. Theresa May seems to have found a way out of the impasse in her Brexit negotiations with the EU during a meeting in Brussels yesterday evening. The Tory Prime Minister is floating the idea of lengthening the transition period which she claims will ‘be a matter of months only’ but which experts agree should only let the UK truly exit the EU by the spring of 2021. Leading Brexiteer and former UKIP Leader Mr. Nigel Farage was absolutely furious to hear of her agreement to such a deal. The UK's transition out of the EU could thus be extended by "a matter of months" to ensure there is no visible border in Northern Ireland, Ms. May stated. She added: "A further idea that has emerged - and it is an idea at this stage - is to create an option to extend the implementation period for a matter of months - and it would only be for a matter of months. “When she tells you we are taking back control of our laws, she then concedes the European Court of Justice will have sway for at least another year. she's biding time to get Brexit nullified. Replace her now. She is betraying the deal. With May we're gonna just keep extending this. LEAVE MEANS LEAVE ! I doubt if any of us will live to see Brexit actually delivered, we voted for it but that's immaterial to the cunts in power on both sides of the English Channel, we need either Putin or Trump to sort this out - violently. GIT ER DONE!!! GET A SPINE!! !